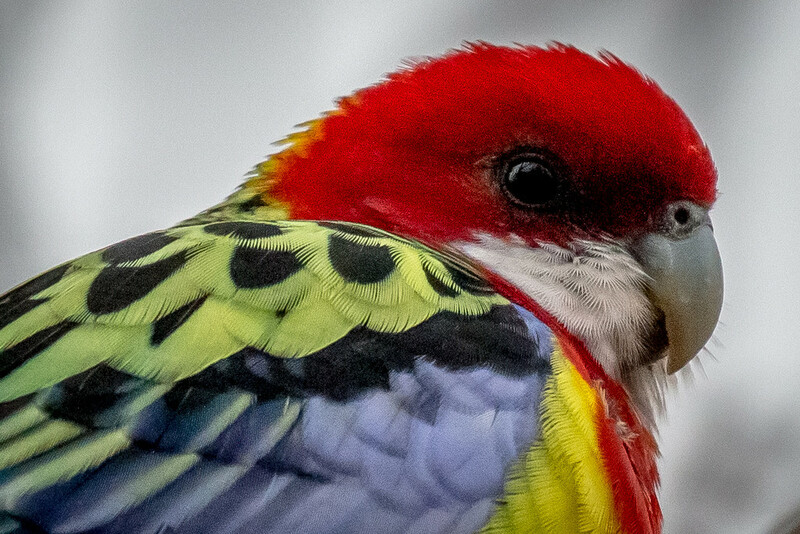 Super high crop of this Eastern Rosella but I loved the way it brought out the detail in the cheek and shoulder feathers. Wow, fabulous. How did you manage to get so close. The rosellas here are so shy. Supreme detail. The chin area is like dandelion seeds- so delicate. The shoulder feathers remind me of a ermine cape of royalty.